in Staffordshire in the UK. The TRUXTA Range of mini dumpers has become a world-wide brand and sold internationally. 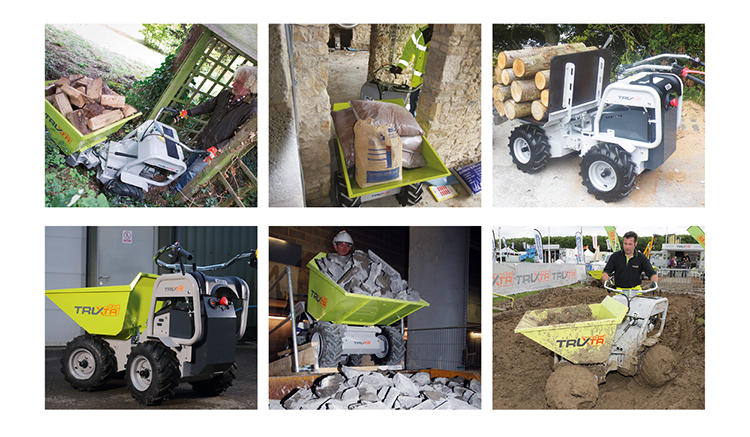 The TRUXTA range of compact and powerful mini dumpers sets a new standard in safe and powerful materials handling. The TRUXTA range provides compact 4×4, smooth squeeze & go hydrostatic system and battery powered machines for a quiet environmentally friendly option.